2018 Accra Basketball League (ABL) Women's Division outfit Reformers of Prisons has taken up the league's top spot on the back of playing the most games in the season alongside Ghana Fire Service. The duo occupies the top positions in the league with seven points apiece but Prisons hold the lead thanks to a better goal difference. Both teams have the same record six rounds into the season with two wins from five games. Despite losing 38-41 shockingly to bottom club Dunks, Reformers hopped into the league's first position since Fire Service was not active in the last round. 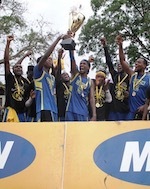 Unbeaten side Ghana Police and defending league champions Braves of Customs are in third and fourth in the standings. Both teams have played the lowest number of games in the season -three- and that has contributed to their lower than expected ranks. Police and Braves were scheduled to face off in a must see game but the game has been postponed to a later date as Customs participate in an international tournament in Kenya and are expected back in Accra on Saturday, May 26. 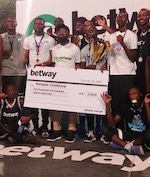 Tudu Galaxy is fifth with five points and Dunks rounds up the six team standings with five points even after recording its debut win this season by beating Reformers.